UFC 223 takes place on Saturday, April 7, 2018 at the Barclays Center in Brooklyn, NY. The featured match of this mixed martial arts PPV event is a UFC Lightweight Championship bout between interim champion Tony Ferguson and challenger Khabib Nurmagomedov. Co-headlining will be a UFC Women’s Straw-weight Championship bout between the current champion Rose Namajunas and former champion Joanna Jędrzejczyk. Lightweight: Al Iaquinta vs. Khabib Nurmagomedov. 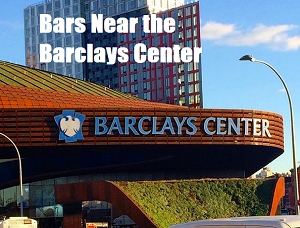 If you are going to the fights, see our MurphGuide Directory of the Bars Near the Barclays Center for pre & post-fight suggestions.